New Year’s Eve is a special day, and opportunity to end the year on a high. Seeing 2018 out in the city? Here are some ideas to help you celebrate in style. On the last day of the year, you’ll probably want to surround yourself with people you care about – and what better way to do it than digging into a delicious meal together?! Struggling for inspiration? Check out this list of foods that are believed to bring you the best luck into the new year. 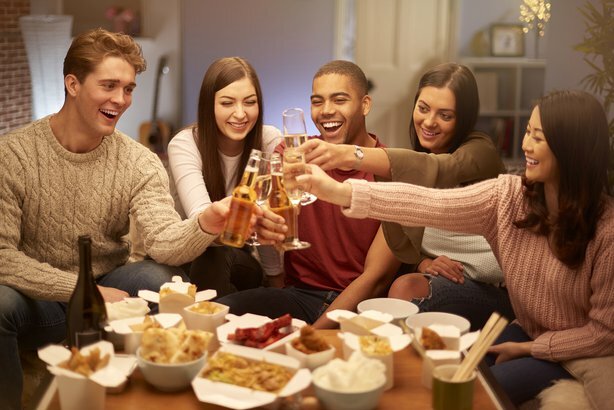 Or if you’re heading out for food, remember to book – most restaurants will require reservations as well as providing a rather costly pre-fix dinner. But we say:“treat yo self” – you deserve it. Layer up — Check the weather and dress accordingly. That means coats, gloves, ponchos instead of umbrellas, and New Year hats and glasses, obviously. Be there early — It’s first-come, first-serve. Not only does Times Square shut down after a certain point on NYE, it’s also filled with barricades and police checkpoints. Finding a good spot has become more competitive over the years too. It’s best to arrive in the afternoon, but you might still find a spot eight hours before midnight if you’re lucky – so go to the bathroom while you still can! Snacks and water — Drink slowly, cos you’ll be there for hours with no bathroom if you don’t want to risk losing your place. Unfortunately no booze is allowed either. Have an exit plan — After the ball drops, people bounce fast. After 10 minutes, Times Square can become a ghost town but be warned – that might mean everyone’s migrated to the subways instead. Plan your best exit route out of the crowd when you arrive, so you can get home or to your next party quickly. End the year with a bang! Something lavish like a boat cruise full of champagne and a view of the city is a lovely way to spend the night. Or just hit up a club for booming music, drink deals, and an energetic crowd. However, if you’re looking for something simpler and slightly cheaper, you can’t go wrong with a bar. Grab a beer with friends, meet some strangers, and maybe even catch the ball drop on TV. Start your New Year’s resolution early as you run into the new year – literally. The NYRR Midnight Run hosted by the New York Road Runners is a four-mile run in Central Park at – you guessed it – midnight. If you’re not a runner yourself, you can watch from the sidelines and catch some fireworks from south of 72nd street at the same time. The best activity on a budget that’ll still give you the “wow” of the new year, is watching fireworks all over the city. In Manhattan you can see the skies over Central Park, or join a walking tour that starts at 10:30pm and ends just in time over the Brooklyn Bridge. 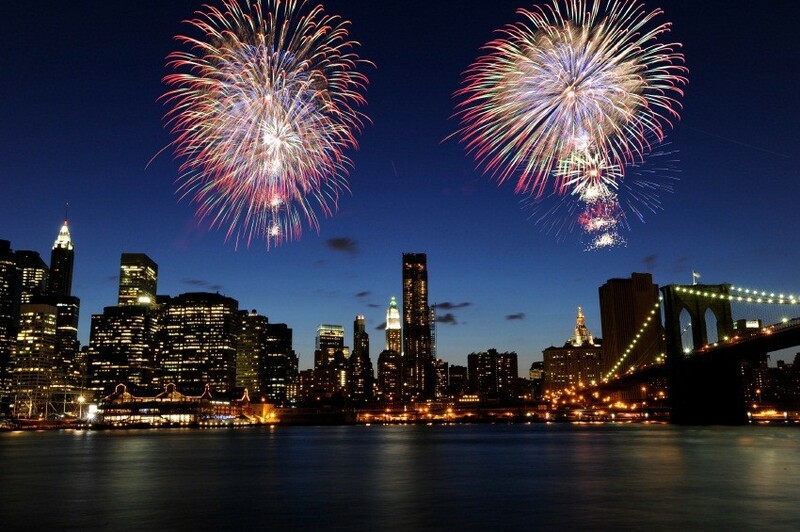 Meanwhile in Brooklyn, chill on the boardwalk for the Coney Island Celebration, or head to Prospect Park around 10:30pm for free live music at Grand Army Plaza, before the fireworks go off at at Long Meadow.